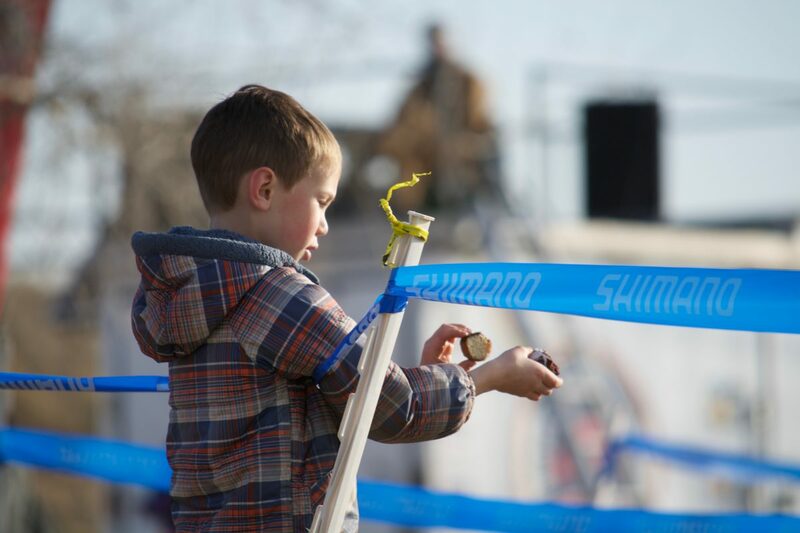 The Rocky Mountain Regional Championships were held in Longmont, Colorado on December 8th as the last sanctioned race of the season for Front Range cyclocrossers. 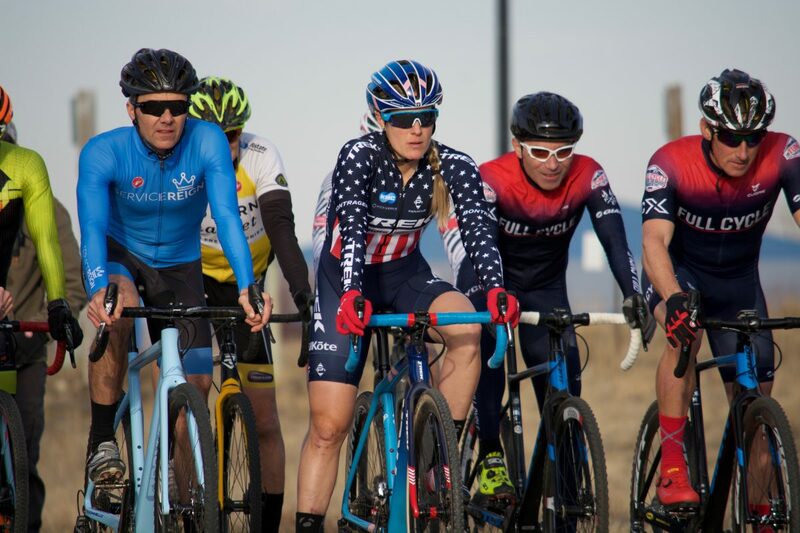 Many locals were looking at this event as a final tune-up before Nationals, and this year that included none other than the reigning women’s elite champion, Katie Compton. Brandon Dwight and Matt Davies flank Compton at the start. While attendance was relatively low compared to the state championships the week prior, spirits were still high among those in attendance. This was undoubtedly due in part to the presence of Compton. 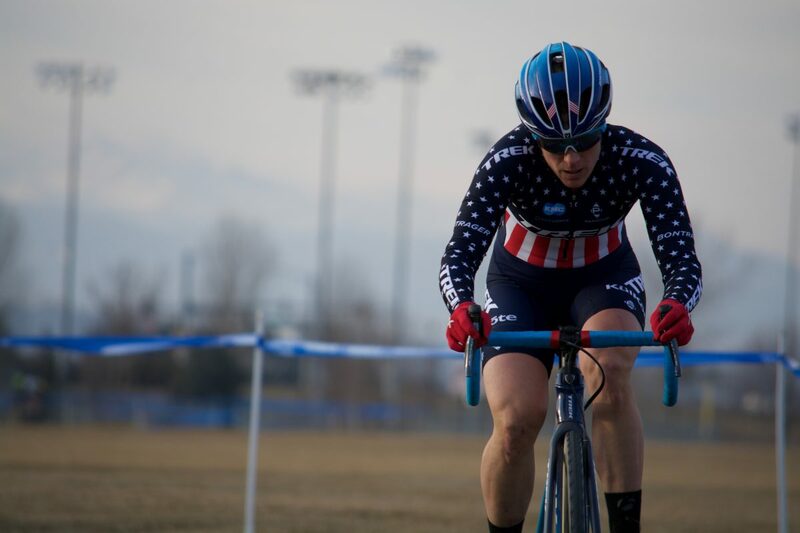 Earlier in the week, she announced on Twitter that she’d be entering the Master Men 40+ event in Longmont, and folks around the grounds were clearly excited to get a chance to see her race in Colorado among “hometown” friends. Compton lined up with about two and a half rows of competitors who were likely either anxious to test their mettle against one of the all-time greats, or anxious about being “that guy” who crashed her out of her World Championship run this year. Johs Huseby being chased by the Champ in the opening minutes. 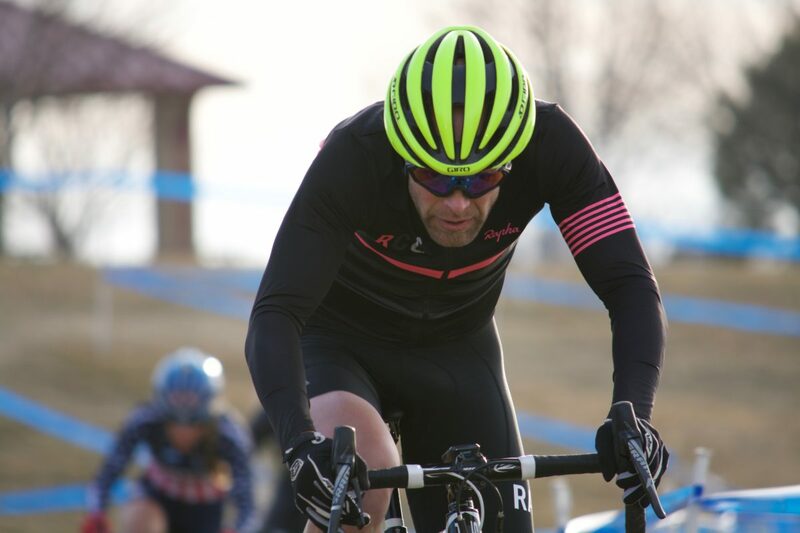 The race started smoothly, and true to form, from her front row start, Compton eased into things and settled in a few riders back, picking her way through traffic after Shakeout Street (h/t Ruts n’ Guts course walk video!). 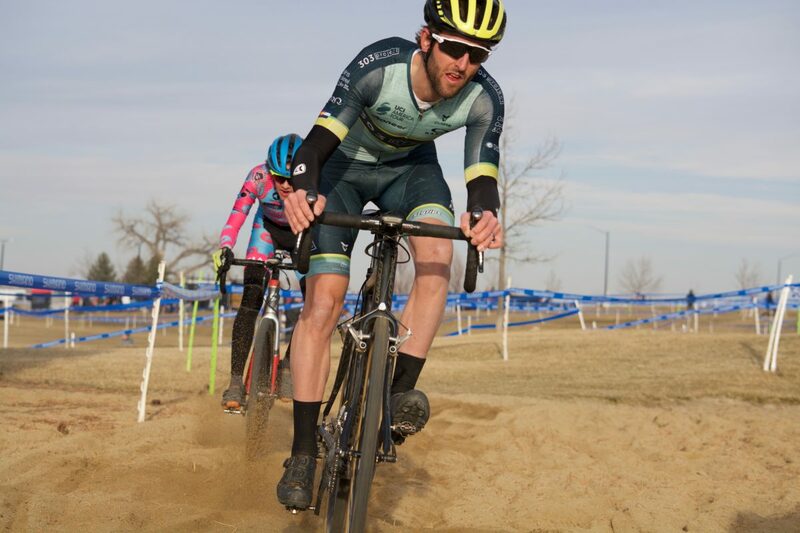 Things were running smoothly for a few laps until Compton went over the bars after getting off-line in a deep rut in the course’s sand pit. Fortunately, she was not seriously hurt, and after gathering herself and shaking some sand out of her hair, she got back to business. Compton in diesel mode after a mishap in the sand. Without further incident, Compton worked her way back up through the field, and on the penultimate lap caught back on to a group of three she was with earlier in the race. 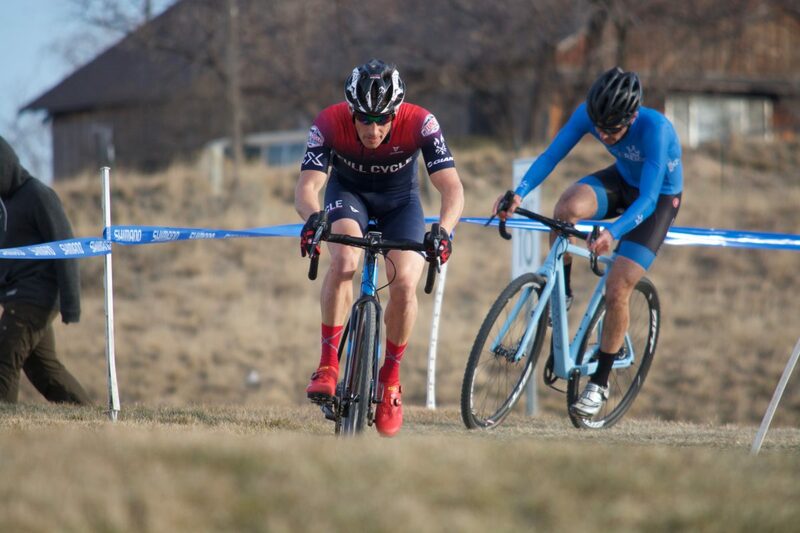 In true professional form, she attacked the other riders in the last half of the last lap, making the move stick and winning the group to finish in seventh place overall. 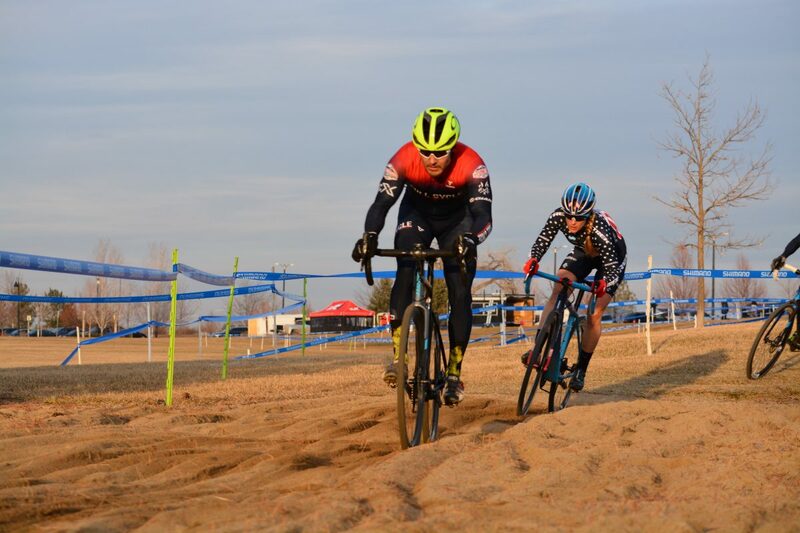 Compton follows Brian Baker into the sand on the last lap right before making the move to win the group. Davies and Dwight push each other in a final race effort before Louisville. Chris Winn (303 Project) leads into the sand, part of the Open Men’s race on course with the 40+ Open Men.